This week has seen the beginning of July and lots of awesome things are on the horizon. So today I thought I would show you some of the stand out products from this fabulous first week of the month. I admit, I have mentioned this in posts and favourites before. But I wanted to mention it again because it has really helped my skin. I stopped using the Tea Tree Toner for a few weeks, not for any other reason than that I was trying out other products and this got left out. But since using this again, with it antibacterial properties, this has really helped with the breakouts I have been having. It makes me wonder if I got them because I stopped using them as they're going away relatively fast. So I just had to mention this. I apply morning and most nights and I'm just so impressed. I have done a post on how to make your own DIY Tea Tree Oil Toner so go check that out. 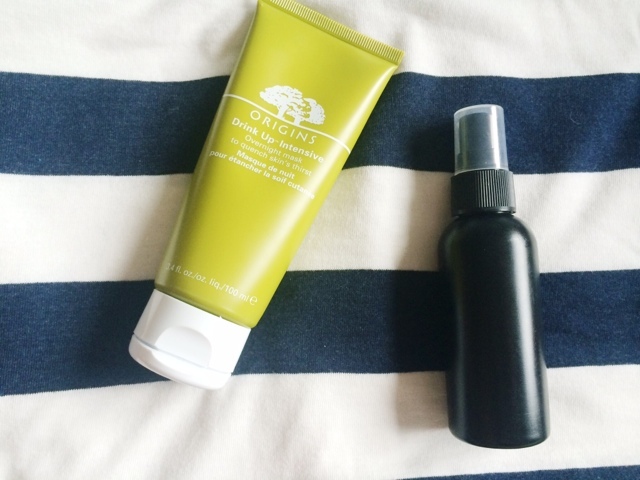 The Origins Drink Up Intensive Overnight Mask is also something I have abandoned recently and my skin was in major need of a moisture boost and some nourishment so this was the first thing I came to and I have used it two maybe three times this week. I love rediscovering products that have been pushed to the back of the shelf to make way for new things. 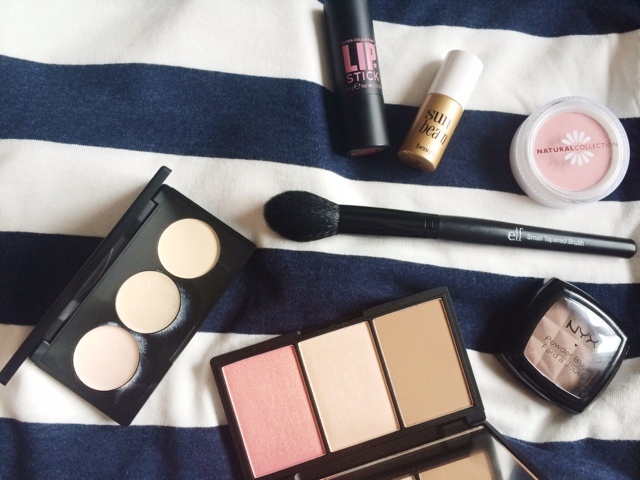 Speaking of new things, I have some new makeup products that I have been loving this week. Starting off with the Sleek Corrector & Concealer Palette this was a total impulse buy, the shades all looked pale enough for my skin tone and when's watching, the formula was very creamy and easy to blend. I have used this every day. There's a pinky toned corrector, a yellow based concealer, and there's also a setting powder. So this can be used both under the eyes, and on blemishes. Another Sleek product I picked up was the Sleek Contouring and Blush Palette in Light Which I have had my eye on for a while but for some reason I never picked it up but I'm so glad I have done now. There are 4 shades I believe but this is the one I preferred for the shades in the palette. The bronzer is matte but it's slightly too orange for me. However, the blusher and the highlighter have really impressed me. They're such beautiful shades, easy to blend into the skin, very pigmented so have to use a light hand, but the glow it gives to your skin is just incredible. Love it. Definitely going to pick some more Sleek makeup up very soon. I have been really getting into contouring recently and I needed a contour powder that wasn't just my regular bronzer, and that would be suitable for my pale skin. So I decided to pick up the NYX Taupe Powder Blush as it is so inexpensive that if it didn't work, I would use it as an eyeshadow or something. But I have really been liking this. It's the perfect shade for my skin tone and it applies really nicely. I use my Real Techniques Contour Brush which is the perfect size to fit under my cheekbones. Contouring is supposed to be sculpting out the face and creating a shadow, and this Taupe shade is perfect and very natural. With the contouring I have been alternating between the Sleek Blush and this Natural Collection Powder Blush in Pink Cloud. This is a dusty road type shade in is so wearable and easy to blend that for £1.99 I think I will picking up some more shades in this range. Definitely worth that affordable price tag. A brush I have been loving for lots of different jobs is the E.L.F. Small Tapered Brush. The E.L.F brushes are so affordable and more and more keep appearing in my collection. This is perfect for highlighting, contouring, powdering under the eyes, blush, setting powder and many more that I haven't tried yet. It's so soft and is the perfect size. I believe it was £4 from eBay but it's just so amazing I love it. 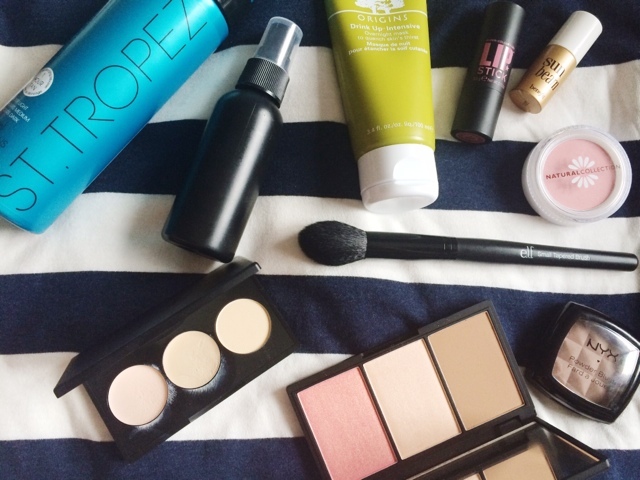 Finally for the base products of this makeup category is the Benefit Sun Beam Highlighter. I am a huge fan of highlighters, and my quest for glowy, bronze-y skin is still going strong and this has been so beautiful on my complexion. It provides a really nice, natural glow to the skin and I am totally obsessed - obviously, it's in my favourites. I know what you're going to say. "Another Soap & Glory Lipstick?" Or "Yes, we get it, you like lipsticks/Soap & Glory" am I right? Anyway, the Soap & Glory Matte Lipstick in Pink Blush was something I picked up along with the Sleek stuff and I have been wearing this everyday. It's a "your lips but better" shade and I just love it. S&G are on offer in Boots at the minute so I highly recommend going down and picking some of their products up, especially the lipsticks. I included the Tarte Braziliance Maracuja Self Tanner in last weeks favourites and I have been trying out a different self tanner which I am in love with at the minute. 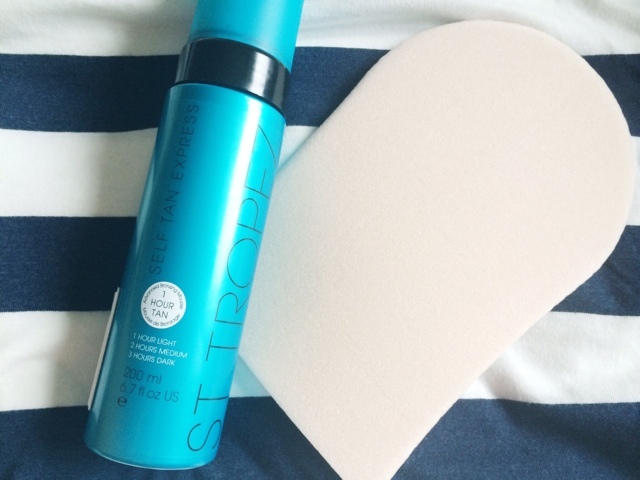 The St Tropez Express Self Tanner is a last minute fix for when self tanner just isn't my number one priority. Having pale skin I was very nervous about trying this but I must say, it's idiot proof, a quick fix, and gives a really nice natural colour. I'm in love with this. I am trying some other self tanners out as I am going to do a comparison so keep your eye out for that over the next few weeks. This time last year, the thought of going anywhere near a self tanning product scared the heebie-jeebies out of me so the fact this is two in two weeks is just scary. Check out this weeks post, as there's going to be a The Makeup Bag post, as well as a face off, and a super quick tip. What's your favourite self tanner?